This is a a post for all female users that love Samsung. Being such a customer oriented company it just launched LeFleur editions for three of its handsets. Even if the launch was announced earlier this January, the new formats were just presented to the big public. The Galaxy Fame Lite, the Galaxy Trend and the Galaxy Core are the latest handsets that have received the floral treatment. 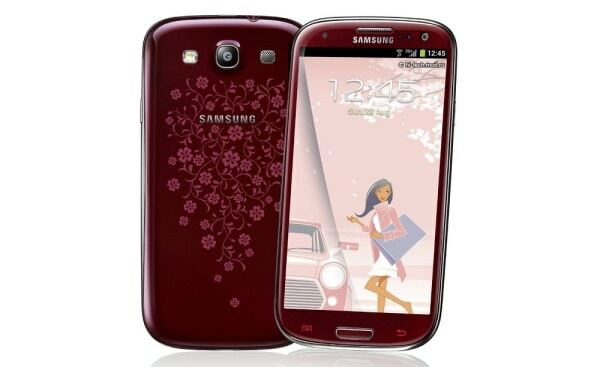 The new Samsung Galaxy S4 LeFleur edition is also available in Russia. It isn’t clear in which countries you will fin these features, but it will probably be a successful feature. These new editions have the same hardware as the original products, the floral design being the new thing.